Mike Peterson, when he was first introduced in the teaser trailers for the show, was strongly hinted at as being Luke Cage, aka Power Man, one of the most popular and well-known of Marvel’s street-level heroes. He was also an Avenger at times, in addition to being a leader of his own team, the Heroes For Hire, at several points in his history. This isn’t anything particularly new. The way those trailers were cut/edited, not to mention the casting itself, a strong case could be made that J. August Richards had been cast as this character. But of course, the showrunners went with a completely new character with no resemblance at all to Luke Cage. I suppose the signs of some of this show’s biggest blunders were right there in that episode. In the mid-season finale, a rehabilitated Mike Peterson returns as an agent of SHIELD to help Coulson’s team go up against Centipede and its shock soldiers, who are all drugged up with their signature devices. With Peterson, SHIELD has sort of found a way to stablise his powers and keep him alive, something that Centipede has sort of had trouble with but has made strides of its own. This goes back to episode five where we first met one of Centipede’s most important pawns, Raina, and the good guy turned bad Chan Ho Yin who was corrupted by her. This linkback is actually quite important because those first nine episodes were distinctly marked by their inability to connect to each other in terms of the overarching plot and Centipede as well. J. August Richards delivered some really decent acting with Peterson’s return but sadly, the script never really let him go beyond the material. Having seen him do some really great stuff on other shows, it was almost painful to see him struggling like this, and it definitely was a struggle as far as I am concerned. He seemed to be doing the best with what he was given, but what he was given was quite terrible indeed. He was too eager, too wide-eyed, too desperate even. While I liked the fact that the show was actually reusing villains and seemingly one-off characters, what I didn’t like was that it was all by the book. Centipede is assisted/led by someone called the Clairvoyant, an all-knowing entity of great influence. Mention has been made of the Clairvoyant before, but this time it was all just too much. In episode 11, the Clairvoyant is shown to be aware of some of Coulson’s deepest fears and details of personal life. Going up against someone like this, its not really a challenge because the good guys are always on the back foot. And any failure of the bad guy is going to end up coming across as extremely cliched and cheesy. That’s a fear I have, that after building up the Clairvoyant like this, the entity will be brought down in a most pathetic manner. There were some good emotional beats in the episode, such as between Peterson and his son, and it creates a connection with the series pilot since Peterson “went bad” primarily to give his son an actual future rather than something much more… personal. But, these good moments are ruined by the rest of the episode. The climax, which features an off-the-rails twist and shows that everything prior has all been this big red herring dangled in front of the fans to lead them in a certain direction, is one of the worst moments of the entire show. The big emotional beat that this climax hits is pretty much all ruined because the characters all come across as stupid and amateurs with no clue as to what they are doing. Watching all of this, I have trouble believing that these guys are all supposed to be this big crack team of agents that stands between the world and the villains who would see it destroyed. In episode 11, we switch gears and pick up soon after the end of the previous episode. We now see how Victoria Hand (played by Saffron Burrows) is given command of The Bus to work with Coulson’s team and bring him back in since he was kidnapped by Centipede in the climax of the mid-season finale. It is a pretty decent setup to the story and shows how the team adapts to the changed circumstances and the fact that they have to do things on their own rather than under Coulson’s direction. The team interactions are mostly good, but it is once again the story that proves to be the big disappointment. For one, given the events of episode 7, “The Hub”, in which the team visited one of SHIELD’s big headquarters, things didn’t work out so well because Victoria Hand manipulated both Agents Ward and Fitz to go on a suicide mission. Suicide mission because they were promised a non-existent extraction, in part because Hand things since agents like Barton (Hawkeye) and Romanoff (Black Widow) have never needed outside extraction so Coulson’s green team doesn’t need one either. It is kind of really convoluted and wasn’t really the best way to introduce Hand’s character. The same goes here. Despite knowing that Coulson’s team is made up of some special individuals handpicked by him and his judgement is, admittedly, sound, she goes ahead and she doesn’t really give his team the benefit of the doubt. This applies to Skye more than it does to anyone else. Getting Skye kicked off the Bus is how things start going downhill for this episode. Hand doesn’t trust her and May seemingly backs her decision so Skye is left to her own devices. But she has come to think of the team as a family and she isn’t ready to give up on Coulson yet, particularly since he has promised to help her discover the truth about her parents. She owes him far too much and so, in her own way, she goes off to find where Centipede could be holding Coulson. In the process, she basically impersonates May, dressing up in a leather outfit to kind of match May’s own uniform and goes off to scare some random tech-executive into helping her. The whole humour is very cut and dry and really fails to elicit any response other than me shaking my head repeatedly whenever I see Skye on the screen. Chloe Bennet’s acting fails to rise above the material as well and there’s absolutely nothing in her subplot to keep me interested on any level. She hasn’t been impressive in any of the previous episodes, not really, and the same holds true here as well. It doesn’t help either that her character is the most ridiculous character on the team, what with having no motivations beyond finding out about her parents and having some dubious connections to the Rising Tide hacker collective which hasn’t been mentioned on the show in ages. One of the reasons that I was kind of excited for this episode was because it had been teased that we would learn some real information on Coulson’s resurrection following his death in The Avengers. It turns out that Coulson did indeed die when Loki stabbed him through the heart with his Tesseract-powered scepter. Nick Fury certainly did not lie to the Avengers when he told them about any of it, and thus the emotional beat of that moment holds completely true, as does the validity of the wake-up call that the team gets in the wake of Coulson’s death. But, things turn out to be both sinister and completely ridiculous in the aftermath. Because the episode pretty much makes it clear that the “new” Phil Coulson is not a Life Model Decoy or any kind of android. He wasn’t resurrected through magic either. He was dead for several days and Fury went above and beyond to find a cure for him, eventually subjecting his corpse to multiple operations. As a result of some unexplained sciency-wiency medical tricks, Coulson is brought to life and his memories are altered so that he doesn’t remember any of it. Extremely anti-climactic I have to say. Again and again the show has shield away from making proper use of the rest of the Marvel universe, to connect with it and reference some of the really cool stuff therein. This episode is a perfect example of that. Perhaps there will be something else later on that enriches this entire subplot, but I’m not holding my breath at all. This is not what I was expecting, that the explanation of Coulson’s return would be so damn tepid and boring. What was the point even? It was all just a colossal waste of time. Honestly, I concur with my friends who fear that the direction this show is going does not bode well for Marvel’s Netflix shows, coming later this year or the next year, and starring some street-level superpowered heroes. 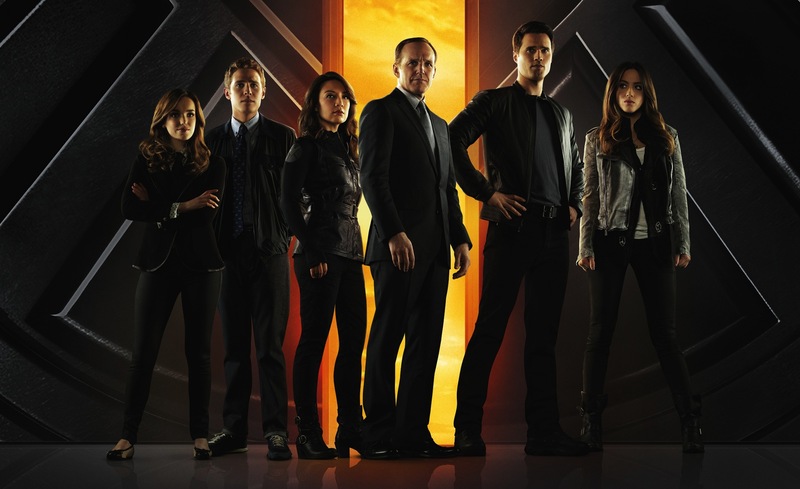 Agents of SHIELD is a television show based on comic books and is part of a massive franchise spanning decades. And yet, the showrunners have no interest in acknowledging any of that. They are content with making this show a boring procedural that only vaguely ties in to the Marvel comics universe. And that’s not what I’m looking for here. Ruth Negga’s Raina returns for this episode and she is just as disappointing in any of her other appearances. She is coy, seductive without any sexualisation, and she has a way with words, but it all comes for nothing because she doesn’t really have any punch in her performances. It gets worse because of the cliched dialogue she gets all throughout. Another thing is that whenever the Clairvoyant is mentioned in front of her, she gets this… I don’t know… orgasmic look and body language as if she got the biggest kick of her life. It is disconcerting at best. Overall, this episode was even more disappointing than the one before. We didn’t even get to see Mike Peterson at all here, not until the “bonus” scene in which we see another big twist in the story and left me shaking my head even more. Not predictable per se, but extremely disappointing nonetheless. And it all makes the show’s casting of its villains/pseudo-villains even worse with respect to actors of colour. And finally, this week’s episode. Things are slowly getting back to normal but a situation develops at one of SHIELD’s academies and Coulson’s team is called in since Fitz and Simmons are graduates of this particular academy (SHIELD differentiates its academies by their intended specialisations, so Ward and May went to another academy altogether while Fitz and Simmons went to another), and they are needed to give the agents-in-training a pep-talk about the dangers of the real world and how to resist temptations and so on. Its all rather boring. I actually make it sound more exciting than it actually is. While FitzSimmons, Skye and Ward are doing their investigating at the academy, May and Coulson head off to Mexico to hunt down the leads into their secret investigation of Skye’s background, and they come up with some really startling results that are beyond shocking. This episode was one where the character interactions actually felt real and even relevant. Fitz has a really great bonding scene with one of the cadets, and there’s a nice development between Simmons and Ward as well, given that they are from different specialisations and the rivalry between the two is played up in quite a friendly manner. I would have liked to see more, but with this particular aspect of things, I’m quite satisfied. It also helps that May and Coulson’s interactions are also top-notch. Having learned something of how he was brought back from the dead, Coulson is having a really tough time adjusting and May helps him deal with some of it. Its all full of potential and is mostly handled well. Another previous villain makes an appearance in the episode, and its actually great to see him. His last outing was really good and he is one villain, in the entire series, that I can really see as a big headache for SHIELD, in a really big way. There’s also a certain consistency to his characterisation that I really liked. Suave, sophisticated, pragmatic and utterly cool. That’s Ian Quinn. His ties to the “bad guys” in this episode is the kind of expected thing that would have put me off, but you know what, I liked that angle. That way that it all ends, I’m kind of excited to see where the show goes next. SHIELD is an organisation built on secrets on top of secrets. In The Avengers, Tony Stark told Captain America and Dr. Banner that Nick Fury was The Spy, and that his secrets had secrets. Narratively, this episode bears that out, but applied to the entire organisation as a whole. The secrets that May and Coulson uncover have some huge ramifications and they completely change Skye’s place in the entire team, even within all of SHIELD as well. They cast her in a new light and with this added bit of backstory, I feel that the character is indeed going somewhere, and I would like to see it developed. However, at the same time, I’m really wary of this development because of how outlandish it all is. Its a twist that any comic writer would be proud of because of how left-field it is, but that’s really it so far. This is an idea that needs to be built upon aggressively and not be relegated to the background. So overall, for these three episodes, the show has a thumbs-down from me. It has some good moments and some bad moments but unfortunately the latter far outweigh the former. And as things stand right now, the show is on another three-week break. The next episode won’t be coming till the first week of February, and that in itself is disappointing. There’s this distinct lack of significant momentum in the show and that is proving to be a big detriment to the overall story. Posted on January 20, 2014, in Agents of S.H.I.E.L.D, Review Central, TV Show Reviews and tagged Agent Grant Ward, Agent Jemma Simmons, Agent Leo Fitz, Agent Melinda May, Agent Phil Coulson, Agents of S.H.I.E.L.D, Alien Technology, Brett Dalton, Centipede, Chloe Bennet, Clark Gregg, Comics, Comics Tie-In, Elizabeth Henstridge, Espionage, Ian de Caestecker, Ian Quinn, Joss Whedon, Marvel, Marvel Comics, Marvel Studios, Ming-Na Wen, Movie Tie-In, Raina, Resurrection, Review, Review Central, Ruth Negga, S.H.I.E.L.D, Skye, Spy, Supervillains, The Clairvoyant, TV Show, TV Show Reviews. Bookmark the permalink. Leave a comment.